Coral is a beautiful and bright color for summer occasions. When coral fabric is designed to a dress, it will be attractive and appropriate for summer days, no matter it is strapless or v neck, with or without a belt. A-line dresses are common and elegant styles for girls. Flowy skirt adds much glamour. Strapless, v neck, one shoulder neckline also offer a diverse and fashion looks on you. 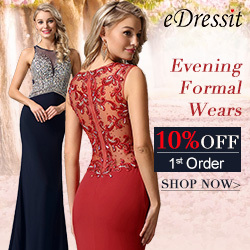 With halter neck, beaded, applique details, coral evening dresses can be your nice choice for formal events and party. Wanna see more recommended dresses and dress codes, just pay attention to our blogs.